Search marketing involves a mix of paid and organic methods—but those behave differently over time. 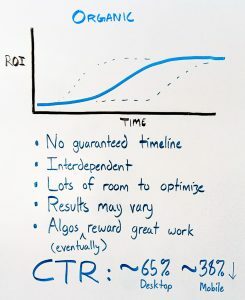 I take a look at why good organic search marketing tends to increase in ROI over time, while even the best paid campaigns will simmer down. Ad fatigue. Eventually, people get sick of seeing the same ad over and over again, and they tune you out. Saturation. There’s a small group in your market that’s already primed to want your product. They’re the low-hanging fruit. But after you’ve converted them, you need to expand your reach—which means paying to convert people who aren’t already primed to want what you offer. These people need more convincing, which drives up their acquisition cost. Competition. It’s incredibly easy for competitors to mimic your paid search marketing. All they need to do is look at the messaging on your ads and landing pages, and make a better (or at least comparable) version. Boom—now instead of one amazing campaign, there are three “typical” campaigns for your industry. Novelty wears off. Even if people aren’t getting sick of your ads, your product itself will become less revolutionary over time. When Casper launched, a direct-to-customer mattress-in-a-box company was a hot new take on the traditional sleep industry. Now there are so many competitors that the idea of a mattress showing up at your door in a box just isn’t as exciting. Content is interdependent. While Google doesn’t use a Domain Authority score, they do look at sitewide signals, they do look at internal links, and they do look at links coming to your content from other websites. That means even if you have stellar content on your site, it can take a while to gain a network of links pointing to it. You can optimize over time. If a piece of content is ranking at the top of page #2 for a certain term, you can always improve it to make it better than the competition. Organic search results get more clicks. 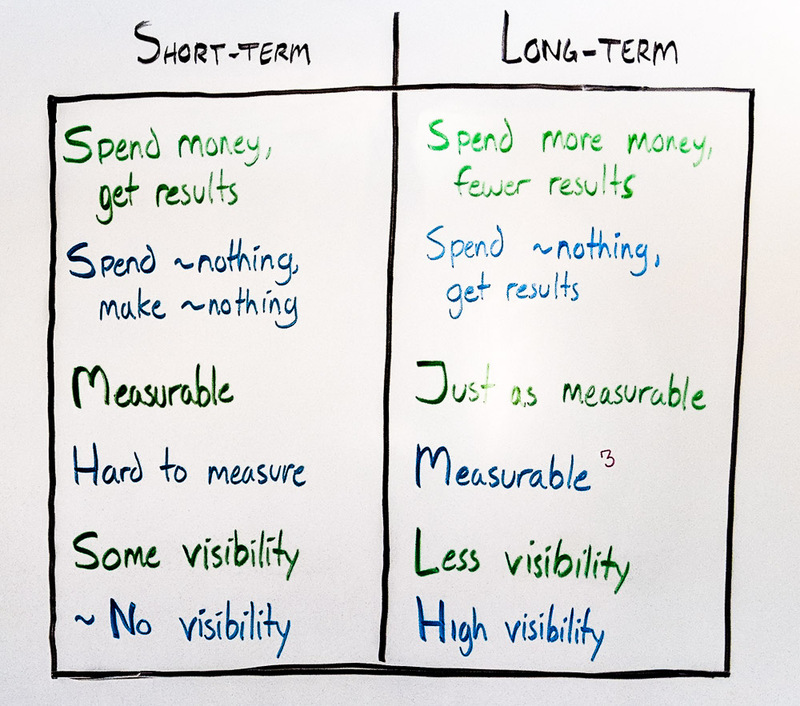 People prefer organic results to paid ones, and so while investing in fantastic organic content up front is expensive, it wins far more traffic than paid clicks would in the long run. Rand Fishkin on organic/paid CTR. 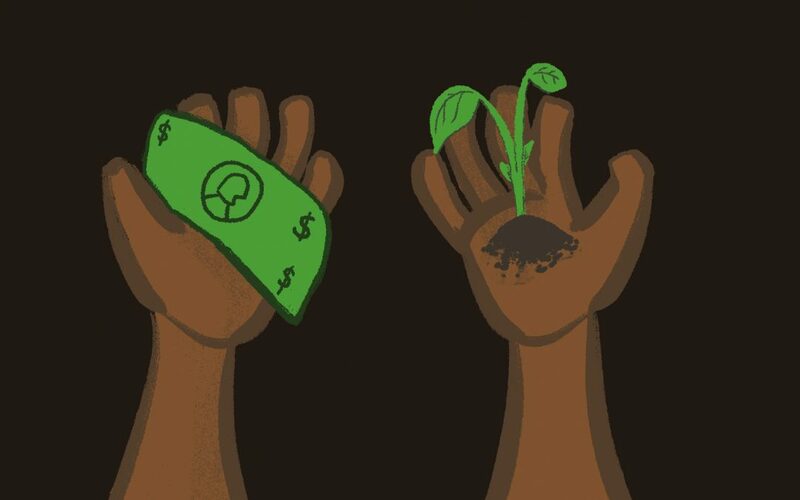 Heather Physioc’s take on organic/paid priorities. 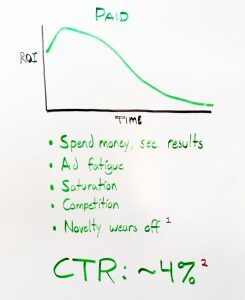 Ahrefs’ study on how long it takes to rank in Google.